Today is going to be a hot one here in Atlanta! I promised the kids I would take them to Lake Lanier Islands for some fun in the sun and now I am kinda regretting that one! I already got moving today and did my booty workout. Now I need to get towels packed and sunscreen on! Who's ready to take in some smog today? Yep, it is supposed to be a bad one! We are leaving the illustrator behind to get some work done, which makes me so sad. I need my partner in crime for days like this! Ugh, I am not looking forward to this. So, here we go Monday...let's talk about some chicken! 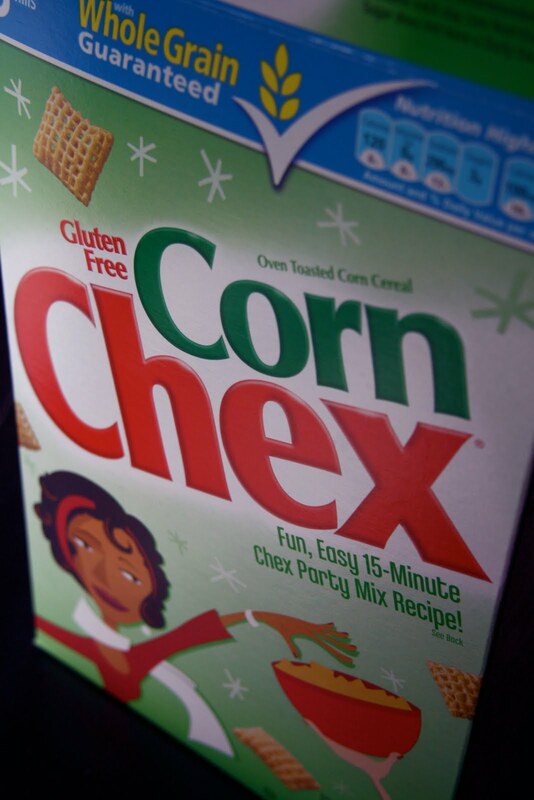 Corn Chex is officially an all purpose gluten free treat sent down from heaven. 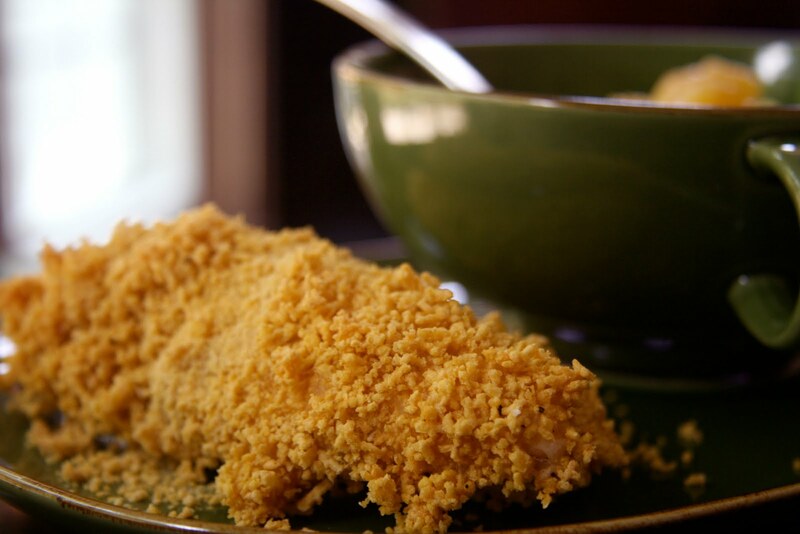 Seriously, it's a cereal, it's a snack, it's a treat and now it is dinner, well lunch here! the illustrator can eat it without worry! 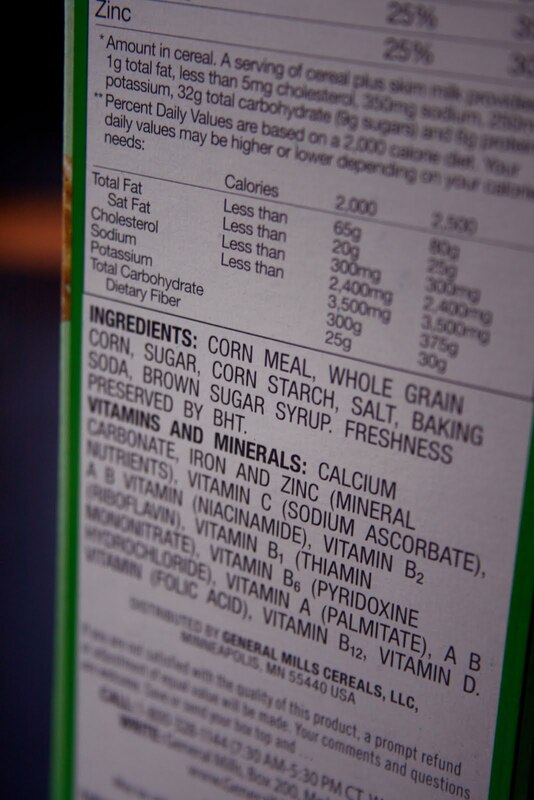 I love seeing this on foods! Sadly, we are out of the Kinnikinnick bread crumbs, so I went to the next best thing. 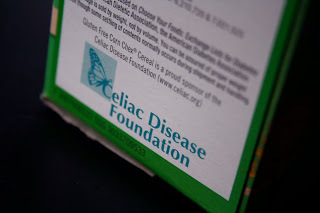 My cousin, whom I have mentioned before, is learning to cook and has gone on a gluten free diet due to digestion issues she is having. She is finally feeling better and while she does not like to handle raw chicken all that much, she was intrigued when I mentioned it. I thought it would be perfect for her since chicken tenders are the perfect size for not having to handle them too much and they cook quickly. 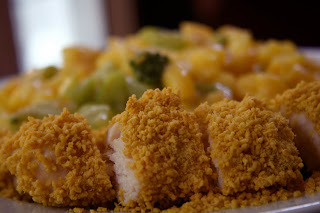 Typically, I don't buy tenders, but these were on sale that day, so I grabbed them for an easy meal. This came together in 30 minutes start to finish! Preheat the oven to 350 degrees. Line a sheet pan with parchment paper. 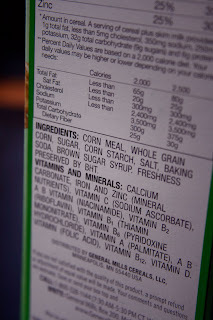 Crush the Corn Chex in a food processor to a coarse ground texture. Put the chex, rice flour and egg whites in 3 separate bowls. Season the chicken with the salt and pepper. Next coat each piece of chicken in the rice flour, then the egg whites and then the crushed chex. Place on the lined sheet pan. Bake for 20 to 25 minutes or until done. They should be firm to the touch and white on the inside if you need to peek! Who's ready for this week? I am really hoping for some good stuff to happen! Oh I bet the cereal adds a great crunch. I haven't had Chex in eons! I use corn Chex too. They're so good! How awesome! 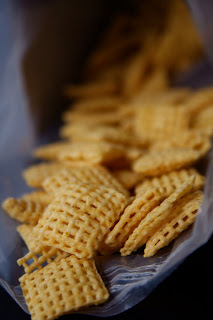 I love Chex (and I love that they are gluten-free). Did you know that KIX is gluten-free too? I have a box in my pantry so I might try this recipe using KIX...hum..sounds good to me! Also, thanks for your continued support of my running injury. I sincerely appreciate it, Sarena! Chicken fingers and fries has been my favorite meal since I was a little girl...I seriously can't wait to try this!! At least you're not going to Six Flags today. You can cool off in the water if you need to! Have fun! oooh - super clever idea to use chex mix! i've tried pretzels before, but this sounds way more creative. i can't remember the last time i had chex, too! hope you ended up having a great day with your boys and stayed cool! You need to use the rest of the box on puppy chow, ya hear! Mmm these look yummy! I wish we got corn chex here :( (we get crispbix which are similar but not the same and I think maybe too sweet for chicken).